Take a guided expedition through the Biltmore Estate to match your skill level. The western-style, one-hour guided ride is perfect for beginner to intermediate-level riders. A private three-hour trail ride with picnic lunch is designed for someone with riding experience. Offered daily. Two-day advance reservations are required. Available for 2-4 people ages 8 and up. 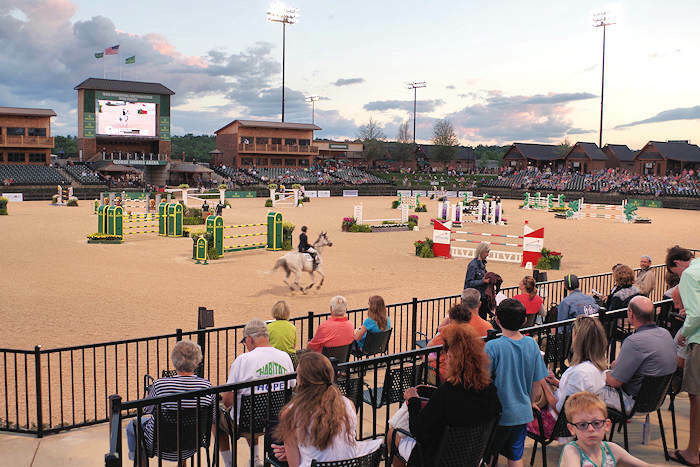 If you’re bringing your own horse to explore 80 miles of Estate trails, please visit Biltmore’s Equestrian Center. An authorized concessioner of the National Park Service, located in Cherokee. 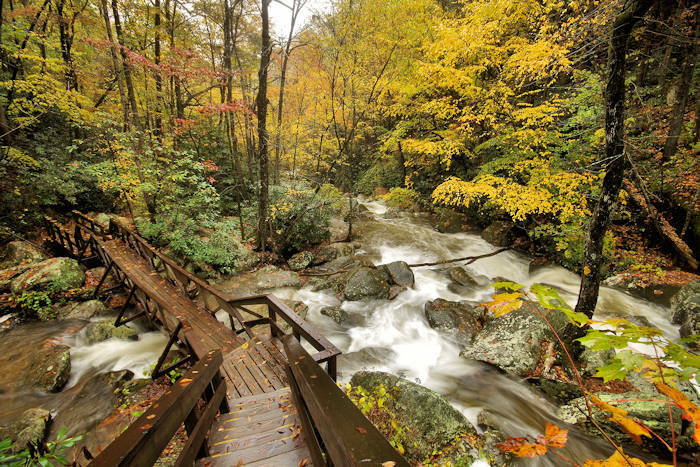 Enjoy a guided horseback ride within the Great Smoky Mountains National Park on natural riding trails that feature beautiful, wooded scenery, native flora and fauna, and mountain streams and waterfalls. Choose from four options: Hour rides that include wooded scenery and crossing the Oconaluftee River, a 2.5-hour waterfall ride, a 4-hour ride on a wooded trail following along the Oconaluftee River and viewing two cascading waterfalls or a peaceful wagon ride! Go to their website for more. Choose between the one-hour, two-hour, the scenic three-hour mountaintop or the three-hour waterfall ride in the National Forest. Located near Brevard on the Forest Heritage Scenic Byway near Looking Glass Rock. Go to their website for more. Go to DuPont State Forest to see waterfalls. There is a great loop that allows you to see four of the major waterfalls. This loop does involve crossing Little River. The rocks can be slick and the water can be up to two feet deep when the rainfall has been heavy. If your horses have crossed large streams before, there shouldn't be a problem. There are also two wooden bridges. If your horse has not crossed a wooden bridge before, you may want to lead them across the first time. The bridges are wide and very solid. Rangers and volunteers carry free maps. If you need a map, ask any ranger. Large maps are posted at the kiosks. Many loops can be developed by connecting the trails. This loop takes about 2 hours, depending on your speed and how long you stay at the viewpoints. It will get you familiar with many other connecting trails. About 550 miles of hiking trails in the Great Smoky Mountains are open to horses. Horses are restricted to trails specifically designated for horse use. If you wish to ride your own horse in the park, please obtain a copy of the park's trail map. This map indicates the trails on which you may ride horses and explains the park's rules and regulations concerning horse riding in the backcountry. It also provides information about backcountry camping and permit requirements. To obtain an official trail map, stop at any park visitor center or call (865) 436-0120. The cost of the map is $1. You may also download a trail map. Horses are allowed only on trails specifically-designated for horse use. Off-trail or cross-country riding is prohibited. Horse riders may use designated campsites located on trails open to their use, however, some backcountry campsites must be reserved in advance. These sites are indicated on the park's trail map. A drive-in horse camp that provides ready access to backcountry horse trails in the park is located at Cataloochee. Explore 29 miles of trails in this beautiful park near Morganton. 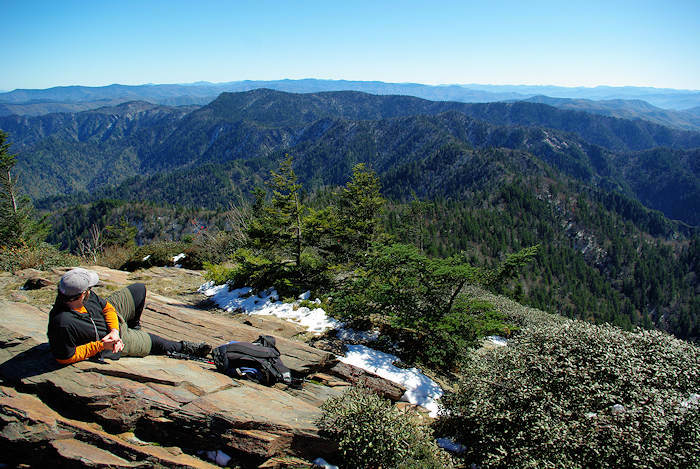 See our South Mountains State Park Guide. The Pisgah National Forest and Nantahala National Forest offer a variety of riding experiences for all levels of riders. Look for trails signed with the horse-use symbol. If the trail is unsigned or there is a red slash across the horse symbol, the trail is for hiking only. Open and gated Forest Service Roads are open for horseback riding unless signed closed to this use. 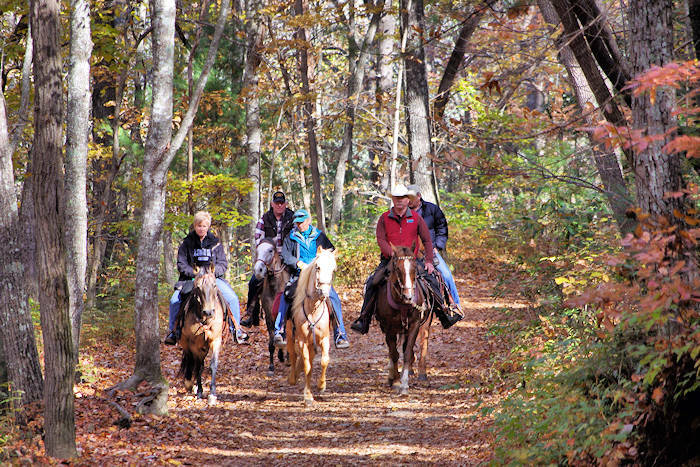 For campers, Wolf Ford Horse Camp provides access to many miles of equestrian trails in the South Mills River area. Wash Creek Horse Camp is a nearby group reservation site. For information about reservations, call Pisgah District at 828-877-3265. Tsali Recreation Area has 40 miles of trails with trails rotating for enjoyment by horseback riders and mountain bikers. See our Tsali Guide. Wine Spring and Hurricane Creek Horse primitive camps are located near Franklin. 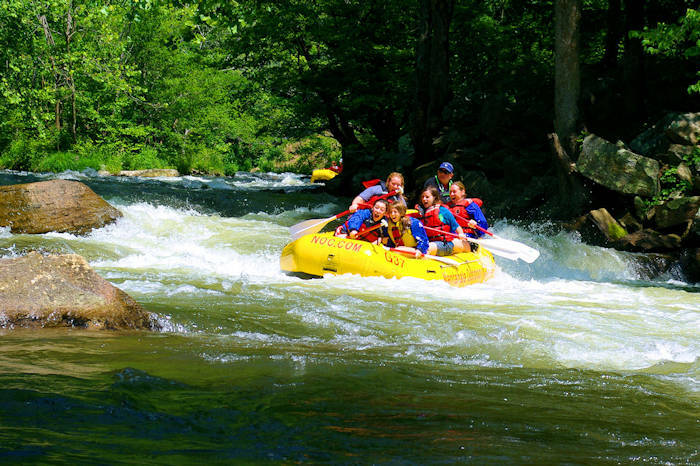 Reservations through the Nantahala District Office are required: 828-524-6441. Very popular backcountry area for hiking, horseback riding and mountain biking. Numerous trails offer many opportunities for loop rides. Most trails follow historic logging roads and railroad grades alongside streams through hardwood forests. Cold Springs Creek flows through dense woods and grassy fields on its way to the Pigeon River. The forest shows hints of its past history of farming, logging, narrow gauge railroads, settlements, as well as signs of recent forest management. The grassy ridges of Max Patch Mountain near the Tennessee state line crown the area. 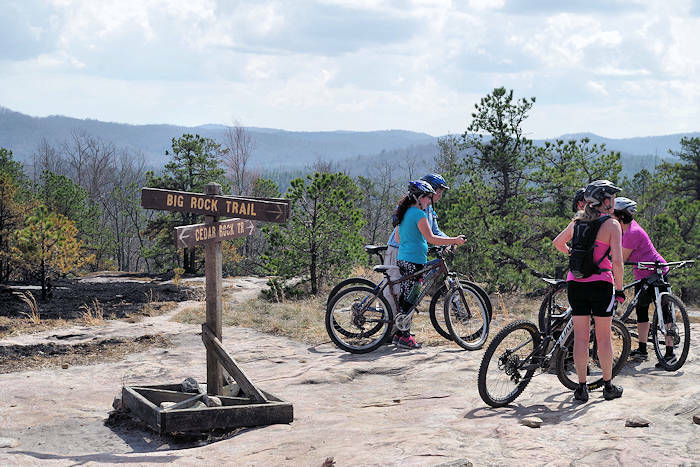 Trails combine with Forest Service Roads to provide loop riding opportunities. 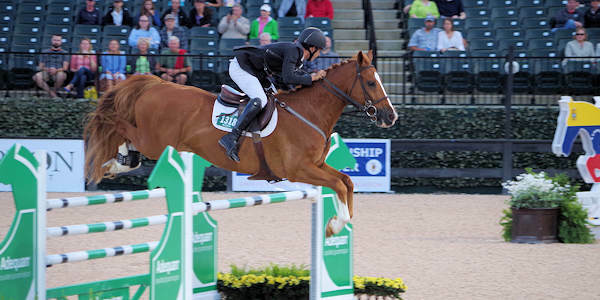 Tryon International Equestrian Center is a must-stop for horse lovers, with world-class horse jumping competitions in Tryon. Read more.